Mission Statement: The SeaWolves organization is dedicated to providing young student- athletes the opportunity to develop their skills and potential in a competitive and supportive environment. To achieve this goal, the SeaWolves are committed to providing players with off-season training and professional coaching. The SeaWolves are also dedicated to providing a fun and positive atmosphere that results in a lifelong respect and love of baseball. Program Goal: The premise for our teams in all age groups is on skill and mental aptitude development. At 9-10U age levels, we primarily compete in the Open Division of the NEAAU. Winning is of course always important to us. However, our priority is on skill and mental development and we will sacrifice a win for an opportunity to learn. equal playing time as much as possible. It is at the discretion of our coaches to place your son in the best possible position for his/her success. It is all about taking your child to the Next Level. You have to ask yourself, " What good was winning a 10 Year old game if in the future your son doesn't make his middle school or high school baseball team." Once players reach the 11U, 12U, 13U,14U and 15U levels, they are placed on either an Open Division team or ascend to a Super Division team or a Diamond Division team. The difference, Super Teams and Diamond teams compete at a more competitive level with an emphasis on the winning component added. The developmental objective remaining the same. or a Diamond Division Team is not guaranteed. It is continually earned by hard work, practice attendance and performance in games. It will vary. Super and Diamond Division players will always participate in a games but playing time may not be equally distributed. If given the choice, a parent has the option to decide what level he/she wishes their child to compete in. Competition: The goal is to expose student-athletes to a significantly higher level of baseball through our affiliation with New England AAU. In addition to the NEAAU season, most of our teams compete in at least one weekend high caliber tournament. The intent is to give players the opportunity to experience baseball at its best. Our teams compete in tournaments throughout the Northeast. Coaching Staff: Many of our teams are comprised of non-parent coaches who are compensated for their professionalism. We will have a few teams that are coached by parents. However, they have a proven track record of fairness and coaching at various levels. They actually have very competitive playing experience too! Teams are aided in practice by the professional staff from the Atlantic SeaWolves Organization. Click on the Instructor Tab to see the bios of our staff. Five 12’ x 70’ cages. Bullpens that can be adjusted to distances up to 60’6”. 20,000 square feet of turfed fields and a 3500 square foot Strength and Conditioning Gym. cage rentals and field use in our facility at no additional fee. Winter Team Practices: Each of our teams practice up to 3 hours per week during January, February and March in our 35,000 sf facility. Practice time is spread across time in the cages hitting, time in the bullpens working with pitchers and catchers and time on our turfed fields working on defensive skills, baserunning, developing Baseball IQ etc. SPEED/STRENGTH/AGILITY/QUICKNESS(SSAQ) TRAINING: Getting the baseball player to the next level requires specialized Conditioning & Training in the gym. 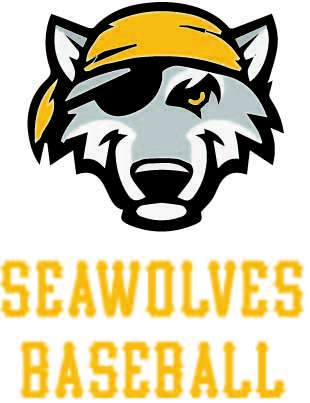 We offer Strength & Conditioning programs and experienced trainers for 11U SeaWolves and up. The objective is to prepare our players for the 2018 season and beyond. Players receive a substantial quality uniform package including but not limited to 2 game jerseys, 2 caps to match the game jerseys, baseball pants, socks, belt, helmet, bat bag etc. Our players look good too!!! What is AAU ? The Amateur Athletic Union (AAU) is one of the largest, non-profit, volunteer sports organizations in the United States. It is a multi-sport organization, dedicated exclusively to the promotion and development of amateur sports. AAU baseball offers the best competition in the country and region with most teams participating in an off season training regimen. There is a 18-25 scheduled game season that consists of playing teams from all over New England and is for the serious and dedicated ballplayer. NEAAU is a well established organization that is nationally recognized by coaches at all levels and widely considered the premier amateur youth baseball association in the United States. How Do The "SeaWolves" Differ From Other Local AAU Clubs? The goal of the SeaWolves is unequivocally on individual player development in a team concept. Our objective is to start preparing our players for high school baseball at the 9U level. Other clubs preach the same but one should ask the questions, " Who really is doing the teaching and coaching?" and “What is the coaches’ playing and coaching experience?" By keeping our rosters at 12-13 players, each player receives plenty of attention at practices and plenty of playing time. Why will my child benefit the most from the “SeaWolves” winter training program? Our winter team practices are of the highest quality. Most AAU teams spend the winter in cages just hitting. Often their bullpens can not be adjusted to 60’6”. Maybe there is a small area where players can take some ground balls but often not. All Atlantic SeaWolves teams take part in an intense 3+ month workout program that is structured and organized. - Batting Practice occurs in our five 12’ x 70’ long cages. - All pitching/catcher practice is performed in our bullpens on portable turf mounds from the correct distance the player will be throwing from in games(46’, 50’ and 60’6”). As a SeaWolves player, how and by what avenues will my child develop? This answer is simple. Coaching, coaching and more coaching ! It is the single most important element next to hard work in a player’s development. All SeaWolves coaches are highly experienced and actually played the game at a very competitive level. Our teams are mostly coached by non-parents who are compensated professionals. Our players will have the advantage of training in a new upscale facility and work with an experienced staff of instructors. Most programs will offer some off-season instruction but it can vary in what is being taught. We offer one total club teaching philosophy in our structured 1-1/2 to 3 hours of practice for 12 plus weeks during the winter months. It is about preparing the athlete for the season and the NEXT LEVEL through every means possible. Did my child significantly improve last year? An AAU program should be a supplement to a towns’ youth program. The SeaWolves feel strongly about players playing for their individual town teams. However, we do urge a strong commitment to our program as well. The schedule ranges from 18-25 games depending on age group as well as 1 weekend tournament for most teams. We strive to find the right balance between Town/Rec/Little League baseball, Middle School/High School baseball, SeaWolves AAU baseball and giving our players enough free time to recreate during the spring/summer months!!!. The Coaching staff are all experienced professionals with many teams coached by Non-parent coaches. Our coaches are well-compensated for their time and effort and are held to a high standard. Teams are limited to 12-13 players so there is ample playing time for everyone. Indoor training facility available year round with a professional staff of instructors. The facility has turfed fields for fielding practice, cages are 75’ long and pitching mounds are at 46’, 50’ and 60’6”. All SeaWolves players receive unlimited batting cage, bullpen and field use at no additional fee. Once the player reaches High School, we also have our RI Prospects Showcase Tournament teams. These teams are for those players who have demonstrated a very high baseball skillset and aptitude and hope to play in college. IT'S ALL ABOUT GETTING YOUR CHILD THE NEXT LEVEL!